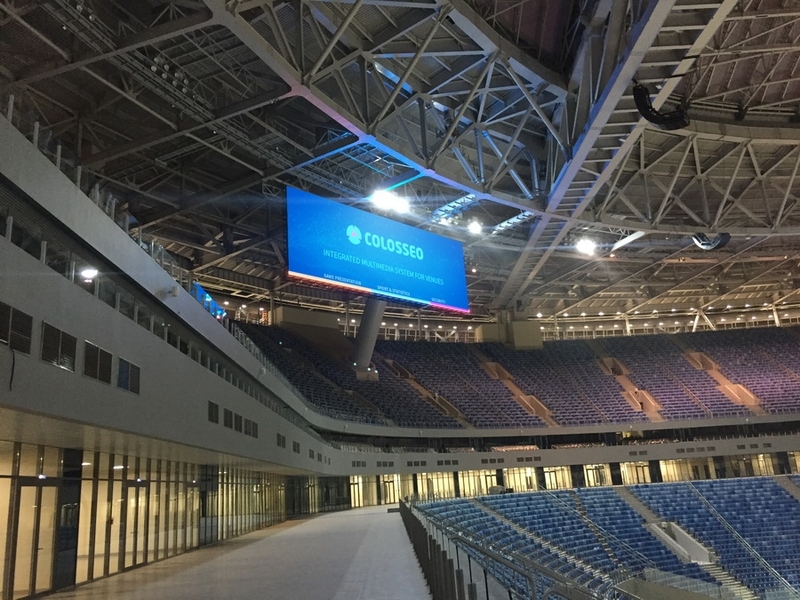 ColosseoEAS confirmed its leading position in the sports LED screens market by installing two of the world’s largest LED screens in a football stadium. Each HD resolution screen has an active LED area of over 315 m2 (3.400 sqft). 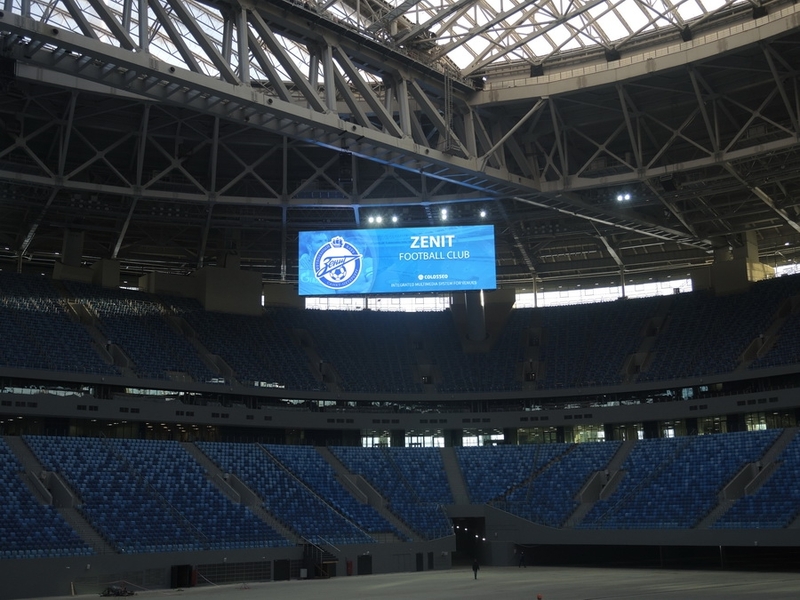 Zenit Arena, a brand new and one of the world’s most advanced football stadiums is the future hosting venue for the 2018 FIFA World Cup as well as the new home for famous FC Zenit in St. Petersburg. It was officially opened during the final days of 2016. This state-of-the-art facility with a UEFA cat. 4 rating has a massive capacity of 72.000 seats for football fans and up to 80.000 for theatre or concert events. 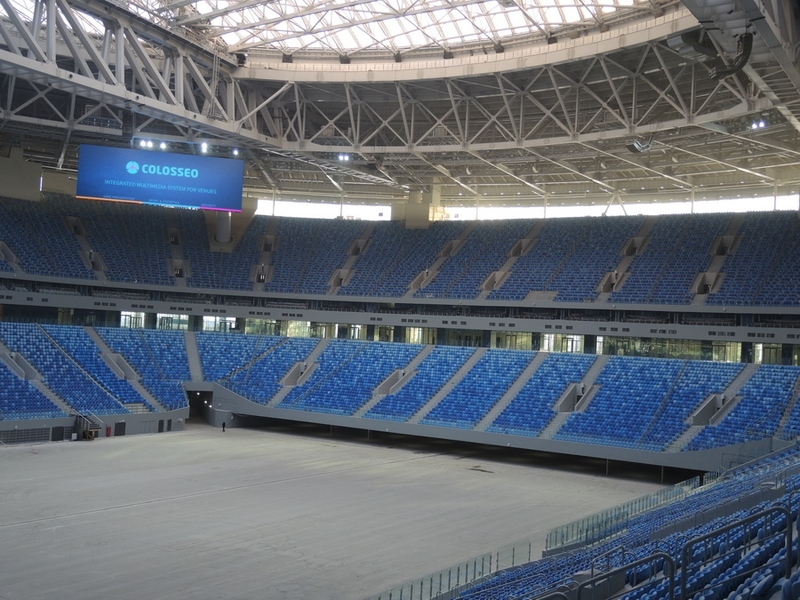 It is also the tallest stadium in Russia with an incredible 75 meters in height. 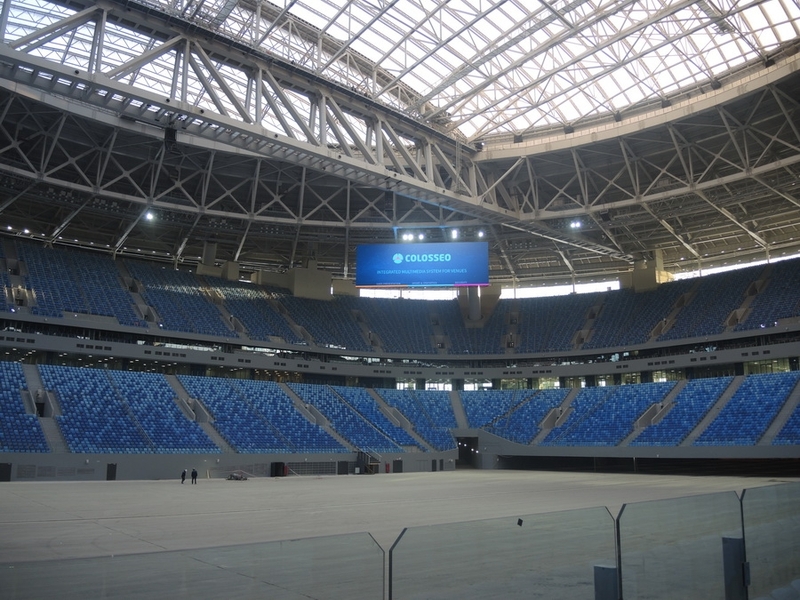 Among its many technological features are a retractable roof, roll-out field, the latest IT infrastructure, and most importantly, two giant Colosseo LED screens with an enormous LED area of more than 600 sq. m in total! Each screen measures 30,7 x 10,2 meters and features 16 mm LED technology. With the latest 3in1 SMD pixel, the screen has 1920 x 640 px HD resolution and provides superior picture quality. Both screens, located on opposite stadium corners, are mounted on the steel and aluminum structures which are attached to the roof and are equipped with five catwalks for easy and convenient maintenance. The screen construction is designed to withstand severe winds from the nearby sea. 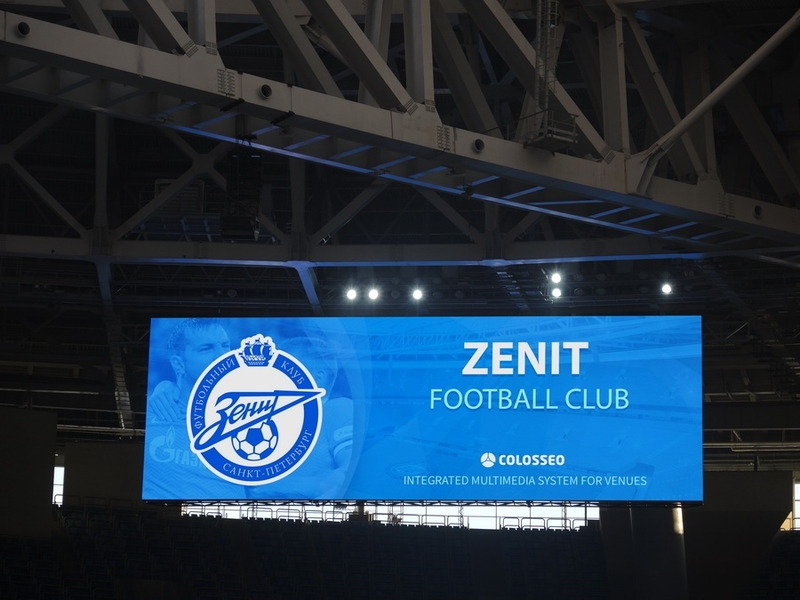 The screens are the largest of its kind among football stadiums across the world and will provide fans with amazing live action, slow motion replays, scores with timekeeping and other relevant information while sponsors gain massive digital space for promotion and advertisement with a rapid return on investment (RoI) for stadium owners. 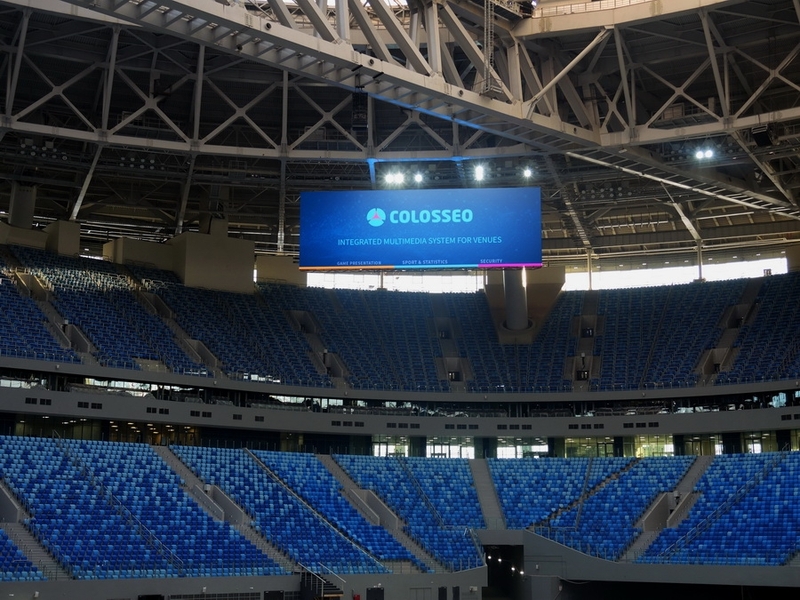 The screens were designed and engineered by Colosseo and were manufactured at our manufacturing site in Slovakia. Colosseo is proud to have equipped another important UEFA cat. 4 football stadium for the upcoming 2018 FIFA World Cup.